Air forces of about a dozen developing nations are buying and deploying Pakistani made aircrafts. The reasons for their choice of Pakistan manufactured airplanes range from lower cost to ease of acquisition, maintenance and training. Pakistan started developing defense hardware for imports substitution to reduce external dependence and to save hard currency. Now the country's defense industry is coming of age to lead the way to high value-added manufactured exports. Nigerian Air Force is the latest to announce purchase of Pakistan made Super Mushshak aircraft after the United States' refusal to sell to Nigeria, according to American periodical Newsweek. Nigerian Air Force chief Air Marshal Sadique Abubakar was quoted by the Nigerian media as saying that "Pakistan has accepted to sell ten trainer airplanes. And that is why the Pakistan Chief of Air Staff is coming for the induction ceremony which is going to take place in Kaduna". Several other countries are in the process of making decisions to purchase aircraft from Pakistan. A report in Pakistan's Express Tribune newspaper says that Turkey has decided to buy 52 Super Mushshak trainer aircraft. The Tribune also reported that Azerbaijan may buy a couple of dozen JF-17 Thunder fighter jets jointly developed by Pakistan and China. Along with exporting existing hardware, Pakistan is continuing its efforts to enhance the capabilities with new versions. 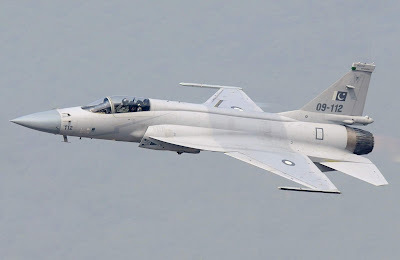 For example, fighter-jet JF-17’s Block III is expected to open up new opportunities for Pakistani defense exports. The new JF-17 Block III will be a twin-seat trainer version with advanced Active Electronically-Scanned Array radar and mid-air-refueliling probe. It will use new composite materials to increase its performance, besides addition of other updates in cockpit and weapons’ pods, according to Pakistani media reports. Growing defense collaboration between China and Pakistan irks the West, according to a report in the UK's Financial Times newspaper. The paper specifically cites joint JF-17 Thunder fighter jet, armed drone Burraq and custom AIP-equipped submarines as examples of close cooperation between the two nations. Pakistan's bitter experience with the unreliability of its cold war allies as weapons suppliers has proved to be a blessing in disguise. It has forced Pakistan to move toward self-reliance in production of the weapons it needs to defend itself from foreign and domestic enemies. It all started back in 1965 when the US and its western allies placed an arms embargo on Pakistan during war with India. The bitterness grew stronger when the US forced France to cancel its contract to supply a breeder reactor to Pakistan in 1974 soon after India conducted its first nuclear test. Fortunately for Pakistan, the French had already given Pakistanis scientists drawings and specifications before canceling the breeder reactor contract. Work on Khushab reprocessing plant stated in 1974 when Pakistan signed a contract with the French company Saint-Gobain Techniques Nouvelles (SGN). In 1978, under U.S. pressure, France canceled the contract. Pakistan then proceeded to indigenously produce its own nuclear breeder reactors at Khushab. Four such reactors are now operating to produce plutonium for Pakistan's nuclear weapons program. Having done its first nuclear test in 1998, Pakistan now has a large and growing nuclear arsenal it needs to deter any enemy adventurism against it. Since MTCR (Missile Technology Control Regime) prevented Pakistan from acquiring delivery vehicles from other countries, the country had to develop its own ballistic and cruise missiles to carry nuclear weapons. The story of Babar Cruise Missile development is particularly interesting. It is believed that Pakistani engineers learned the technology by dismantling and studying a US Tomahawk cruise missile that fell in Pakistani territory when President Bill Clinton fired these missiles to target Al Qaeda in Afghanistan. The development of JF-17, a modern highly capable and relatively inexpensive fighter jet, is the crowning achievement to-date of the Pakistan-China defense production cooperation. It's being deployed by Pakistan Air Force with Pakistan Aeronautical Complex (PAC) on recently rolling out the 16th Block 2 JF-17 aircraft for PAF's 4th squadron. The latest version is capable of launching a variety of nuclear and conventional weapons ranging from smart bombs and air-launched cruise missile Raad to anti-ship missiles. Pakistan Aeronautical Complex (PAC) got its start decades ago by setting up maintenance facilities for advanced fighters like French Mirage and US F-16s and by manufacturing Mushshak and Super Mushshak trainer aircraft. It is now also building JF-17s as well as a variety of drones, including combat UAV Burraq being used in Pakistan's war against militants in Waziristan. Pakistan is expanding and modernizing its underwater fleet with 8 additional AIP-equipped submarines. Four of these subs will be manufactured in Pakistan. These will reportedly be custom versions of Yuan class diesel-electric subs with additional wider tubes from which cruise missiles can be launched. A key requirement for these submarines is to be stealthy—and the AIP-equipped Yuan class is indeed very quiet. The trick is in the submarine’s air-independent propulsion fuel cells, which provide power under the surface as the diesel engines—used for running on the surface—rest and recharge. Though relatively limited in range, this system is quieter than the nuclear-powered engines on American and Russian submarines, which must constantly circulate engine coolant. Pakistan has a long history of arms manufacturing as a cottage industry. The dusty little town of Darra Adam Khel, only a half-hour drive from Peshawar, reminds visitors of America's Wild West. The craftsmen of this town are manufacturers and suppliers of small arms to the tribal residents of the nation's Federally Administered Tribal Areas who carry weapons as part of their ancient culture. The skilled craftsmen of FATA make revolvers, automatic pistols, shotguns and AK-47 rifles. Until five years ago, the list also had items such as anti-personnel mines, sub-machine guns, small cannons and even rocket launchers. Pakistani government has forced the tribesmen to stop making heavy assault weapons to try and prevent the Taliban and Al Qaeda from getting access to such weapons. Pakistan's arms industry has come a long way from making small arms as a cottage industry in the last few decades. The US and Western arms embargoes imposed on Pakistan at critical moments in its history have proved to be a blessing in disguise. In particular, the problems Pakistan faced in the aftermath of Pressler Amendment in 1992 became an opportunity for the country to rely on indigenous development and production of defense equipment. The country now boasts a powerful industrial, technological and research base developing and manufacturing for its armed forces a wide variety of small and large weapons ranging from modern fighter jets, battle tanks, armored vehicles, frigates and submarines to armed and unarmed aerial vehicles and high tech firearms and personal grenade launchers for urban combat. Some of these items were on display at IDEAS 2014, the 5-day biennial arms show held November 2014 in Karachi, Pakistan. A country can not be truly independent unless it can manufacture the arms it needs to defend itself. Pakistan is just starting to build the weapons it needs but it has a very long way to go. At the same time, Pakistan is starting to export defense hardware to developing nations. This goal can only be achieved if Pakistan develops significant human capital and builds a vibrant economy. Silicon Valley Book Launch of "Eating Grass"
Pakistan on Wednesday conducted a successful test of an enhanced version of the indigenously developed Babur cruise missile., said a statement released from the Inter-Services Public Relations (ISPR). The cruise missile incorporates advanced aerodynamics and avionics and can strike targets on both land and sea at a range of 700 kilometres, added the ISPR statement. “It is a low flying, terrain hugging missile, which carries certain stealth features and is capable of carrying various types of warheads,” the military’s media wing said. The Babur cruise missile is equipped with state of the art navigational technologies of Terrain Contour Matching (TERCOM) and Digital Scene Matching and Area Co-relation (DSMAC), which enables it to hit targets with pinpoint accuracy even in the absence of GPS navigation. The launch was witnessed by Chairman Joint Chiefs of Staff Committee General Zubair Mahmood Hayat, senior officers from the Strategic Plans Division, Strategic Forces, scientists and engineers of strategic organisations. “This test further strengthens Pakistan’s deterrence capability,” said General Hayat. Earlier this year, Pakistan conducted a successful flight test of the indigenously developed Air Launched Cruise Missile (ALCM) Ra’ad. Acting Chinese Ambassador to Pakistan, Zhao Lijian Monday said that his country would set up a large steel factory at Gwadar to further expedite economic developments being carried out under China-Pakistan Economic Corridor (CPEC) framework. “Both China and Pakistan would very soon sign an agreement to establish the steel factory, three times bigger than the free economic zone being set up in Gwadar city,” he made this announcement while addressing participants of a day-long conference on CPEC: Potential and Prospects organized by Strategic Vision Institute (SVI) here. He said, industrial cooperation was the forth pillar of CPEC initiative and both the country would discuss it in the next meeting of Joint Cooperation Committee (JCC) of CPEC to be held in Beijing this month. “After completion of energy projects, transport infrastructure and development of Gwadar Port, industrial cooperation between China and Pakistan will be the main topic at the next JCC,” he added. Zhao Lijian informed that China was working a lot for the development of Gwadar Port which was built with the Chinese government’s assistance. He said, after completion, the port was handed over to Singapore but there was no improvement even after passage of five years. Finally, it was given to the Chinese government by Pakistan government and the port was made functional and a ship carrying Chinese goods left for Africa. He said, a business centre, hostel for different companies, fisheries processing plant with cold storage facility had been established in the free economic zone spread over around nine kilometers. About Gwadar airport up-gradation, he said, the new international airport would have landing facility for all the modern aircraft including A-380 Airbus after completion, adding, prior to the up-gradation only C-130 or propeller-planes could land at the old airport. The Acting Chinese Ambassador said, a 150-bed hospital was being built for the treatment of local people while a vocational institute had been set up for imparting training of different skills especially for the fishermen. Talking about different energy project being completed under CPEC initiative in different parts of Pakistan, he particularly mentioned about the coal-based power plants which were being built in accordance with environmental standard set by the World Bank (WB) and other concerned international organizations. He said, China produces around 60 percent of its total power generation through coal based power stations using modern and state of the art technology. “The environmental concerns will be taken into consideration during the completion of these power stations,” he added. Zhao Lijian pointed out hydro power plant, coal based power plants, wind power plants and solar based power plants were being set up to meet the electricity shortage in Pakistan. He informed that the Karot Power Plant was being financed by the Silk Bank established by the Chinese government. The groundbraking of Suki Kinari, Kohala Hydro Power Project would be held early next year, he said and added, Sahiwal Power Plant and Port Qasim Power Plant would be completed by next June and December respectively. He said, a power plant set up at Thar coal site would also be inaugurated in next June. He said, HUBCO power plant, one of the biggest coal-based power plant, would provide constant and stable power supply throughout the year. It is a modern platform with the room to carry current as well as future subsystems. Yes, it is not a high-performance platform like the Dassault Rafale, but it is a platform capable of using most (if not potentially all) of the very same munitions and subsystems found on pricier alternatives. The only real bottleneck would be Pakistan’s financial capacities. The JF-17 is equipped with the KLJ-7 mechanically-steered pulse-Doppler radar (developed by the Nanjing Research Institute of Electronic Technology or NRIET). The KLJ-7 can track targets from 75km (at 3m2 RCS – i.e. radar cross-section, an object’s detectability on radar) to 85km (at 5m2 RCS). The KLJ-7 can track up to 10 targets at beyond visual range, and simultaneously engage two with active-radar air-to-air missiles, such as the SD-10. The SD-10 is an active radar-guided BVRAAM with an approximate range of at least 70km. It functions in a similar manner to the AIM-120C5 (in use with the PAF’s F-16 Block-52+ and MLUs). The SD-10 is equipped with an active radar-guidance seeker as well as data-link supported inertial guidance system. The latter enables the SD-10 to be deployed mid-way to its prospective target, and in a later stage (i.e. the terminal or final stage) the active radar-guidance seeker can kick in to engage the target. Specific performance parameters are difficult to come by, but some have been willing to compare it to the AIM-120, such as Australian defence analyst Dr. Carlo Kopp. The PL-5EII is the JF-17’s core within visual range air-to-air missile. Although derived from an older platform, the PL-5EII is rated by its chief vendor the China National Aero-Technology Import & Export Corporation (CATIC) as “an improved 3rd generation short-range IR air-to-air missile, which features good anti-jamming capability and all-aspect attack capability.” Dr. Carlo Kopp put the PL-5EII in the same general category as the AIM-9M (which is also used by the PAF’s Block-52+ and MLU F-16s). In looking at the JF-17’s air-to-surface munitions suite, one must recognize that the PAF has yet to disclose exactly how it intends to arm the platform. However, CATIC is marketing the JF-17 with a whole host of precision-strike weapons in the form of the LT-2, LS-3, LS-6, C-802A and CM-400AKG. The LT-2 is a laser-guided bomb kit designed for standard general purpose bombs (GPB). It is basically used to equip a GPB (such as potentially the Mk.82) with a laser-based guidance kit. Unlike satellite-aided PGBs, laser guided bombs (LGBs) can be used on a standalone basis, i.e. without the support of a satellite-network. The effectiveness of LGBs can suffer however from poor weather conditions, though the WMD-7 targeting pod could compensate for this to an extent. The LS-3 and LS-6 are satellite-based PGB kits for 250kg and 500kg GPBs, respectively, and are similar to the Boeing Joint Direct Attack Munition (JDAM) kit for Mk-82 and Mk-83 GPBs. Like the JDAM, the LS-3/6 is meant to augment an existing GPB with a guidance-system and glide-system, enabling the bomb to not only be more precise, but exhibit more range. In fact, the more apt comparison for the LS-3/6 would be the JDAM-ER (short for ‘Extended Range’), a stand-off munition. The C-802A and CM-400AKG are anti-ship missiles (AShM). The C-802A is in line with emulating the Harpoon and Exocet-series of AShM, but the CM-400AKG is marketed as a high-speed missile designed to engage large ships such as aircraft carriers. Italy is among Pakistan’s leading Western suppliers. In the 1990s Finmeccanica (now known as Leonardo) provided radars for the Pakistan Air Force (PAF)’s F-7s and Mirages, most notably the Grifo-7 and Grifo-M, the latter being particularly interested in that it imbued the Mirage ROSE I (Retrofit of Strike Element) with the capacity to utilize a beyond visual range (BVR) air-to-air missile (AAM). In more recent years, the PAF ordered 10 batteries of MBDA Spada 2000 Plus medium-range surface-to-air missile (SAM) systems for approximately $475 million U.S. The purchase was concluded in 2007 and the Spada 2000 Plus system (an improved variant of the Spada 2000) was inducted in the PAF. Alongside RAC-3D radars and 750 Aspide 2000 missiles, the package also included maintenance and testing facilities. Around this time the PAF also ordered a number of Falco unmanned aerial vehicles (UAV), which were co-produced under license at Pakistan Aeronautical Complex (PAC). At present, Italian firearms maker Beretta is among the handful of competitors seeking a new standard-issue rifle deal with the Pakistan Ordnance Factories (POF) and the Pakistan Army. The ARX-200 – battle rifle chambered for 7.62x51mm – is (or at least was) being evaluated. Beyond that, there other possible routes for cooperation, but they are merely possibilities. For example, the Pakistan Navy (PN) could consider Alenia Aermacchi – among other competitors – to configure its ATR-72 turboprops for maritime surveillance. The Chief Project Director of the JF-17 Thunder also listed the Leonardo Vixen active electronically-scanned array (AESA) radar as a possible option for use on the JF-17 Block-III, which is currently under development. In October 2015, Finmeccanica’s Selex ES branch said it would also try to compete to source the cockpit for the JF-17 Block-III. We at Quwa also suggested that the PAF consider working with Leonardo to source a complete radar and avionics suite for the JF-17 Block-III. The Raven ES AESA radar, Skyward infrared search and track (IRST), and BriteCloud self-protection decoy (equipped with a radar jammer) were developed for the Saab JAS-39E/F Gripen NG platform, but are available for use for other platforms (though this is unclear in regards to the Raven ES). The PAF does not even need to embrace every sub-system, it could simply acquire the IRST (which could be integrated or optionally podded) or BriteCloud (which just needs to be placed in the chaff and flare dispenser of the fighter). Besides the JF-17, Pakistan could also try engaging with the Italians in order to access certain munitions from MBDA, such as the Common Anti-Air Modular Missile (CAMM) or Aster platforms, these may be of interest to the Navy should it ever manage to push new multi-mission frigates into the pipeline. Once again, it is important to reiterate that this is merely speculation and thinking on our end. The extent to which Pakistan could ever engage with Italy (or another Western firm) will be limited by its capacity to finance pricy acquisitions, and to build foreign relations muscle as a means to thwart others who may seek to undermine its purchases. For the time being, it would be worth keeping an eye on Beretta and perhaps even Leonardo, albeit to a relatively limited extent. Nuclear-armed Pakistan is seeking to ramp up defense exports amid simmering regional tensions and a surge in the global arms trade. Pakistan expects to increase defense exports more than 10-fold to $1 billion within the next two years, targeting sales to countries such as Egypt, Turkey and Nigeria. Azerbaijan on Wednesday agreed to buy arms from Pakistan. The target is “very ambitious” and focused on selling aircraft, Defence Production Minister Rana Tanveer Hussain said in an interview in Karachi. Pakistan’s sales drive comes amid a rising trade deficit and heightened tensions with India, its larger neighbor. Pakistan exported about $63 million of arms between 2014 and 2016, Muhammad Zakir Jafri, the joint secretary at the Ministry of Defence Production, said in a separate phone interview. A late entry in a market dominated by the U.S., Russia and China, Pakistan’s aspirations are reliant on private sector buy in to an industry that has, so far, been tightly held by military-run factories. It already manufactures the Super Mushshak training aircraft as well as the JF-17 Thunder fighter jet, but will need to deepen ties with countries such as Turkey and Saudi Arabia to significantly expand its reach. Details on defense exports are closely guarded and Pakistan’s statistics bureau doesn’t include the data when measuring the nation’s trade, which showed a deficit of $2.96 billion in January, widening 75 percent from a year earlier. More than 20 major public and over 100 private sector firms are engaged in manufacturing defense-related products in Pakistan, according to the website of Defence Export Promotion Organisation. While major defense products are manufactured by the armed forces-run Pakistan Ordinance Factories, Pakistan Aeronautical Complex, Heavy Industries Taxila, National Radio Telecommunication Corporation and Karachi Shipyard & Engineering Works, the private sector firms produce small supportive equipment only. None of them, according to DEPO website, are manufacturing large items like aircraft. The introduction of regulatory and taxation incentives would lift the economy by encouraging the private sector to invest in defense manufacturing, said Khurram Schehzad, chief commercial officer at JS Global Capital Ltd. In the past, Pakistan had focused on exporting small low-value items, but it had upgraded its defense manufacturing to high-value products like such as Al-Khalid tanks and fighter jets, said Muzzammil Aslam, chief executive officer of Invest & Finance Securities Ltd. in Karachi. Turkey has signed a contract with the Pakistan Aeronautical Complex (PAC) Kamra for the procurement of 52 MFI-17 Super Mushshak primary trainers, according to a statement issued by the Turkish Defence Industries Undersecretariat (SSM). The contract was signed on 10 May on the sidelines of the 2017 IDEF defence exhibition in Istanbul in a ceremony presided over by Turkish defence minister Fikri Isik and Pakistan's minister for defence production, Tanvir Hussain. The aircraft are set to replace the Turkish Air Force's ageing T-41D Mescalero and SF-260D trainers. The Super Mushshak is a PAC licence-built version of the Saab MFI-17 Supporter aircraft. Around 46 of these trainers are currently in service with the Pakistan Air Force (PAF), with the first ones being commissioned in the year 2000, according to Jane's World Air Forces. In addition to the PAF, the aircraft has been acquired by the air forces of Iran, Iraq, Oman, Saudi Arabia, and Nigeria. In 2015 officials of Pakistan's Ministry of Defence announced that Turkey had donated 34 of its Cessna T-37 trainers to the PAF in a move that strengthened defence relations between the two countries. Electric fan exports surged 22.40 per cent during the first 11 months of 2016-17 over the same period last year. As many as 1.129m electric fans ($27.712m) were exported during the July-May period as compared to 1.195m fans ($22.640m) in the corresponding period of 2015-16. Sazgar Engineering is the local Pakistani company that is exporting its famous 4-Stroke CNG auto rickshaws to Japan. Japan is a country that itself has a strong automobile industry. Japan has such an established market that exporting rickshaws from Pakistan is quite astonishing. The citizens of Japan use these rickshaws for entertainment and leisure purposes. Vehicles are made all around the world, but the special kind of colorful trucks and traditional rickshaws are uniqueness of Pakistan as per the Sazgar Engineering sales head Ismail. So these rickshaws are gaining popularity in Japan due to their unique attraction. Road safety is extremely important in Japan. These rickshaws do adhere to the standards of road safety in Japan. So the rickshaws are road legal and they can be used on highways, Ismail further added. The Chairman of the Pakistani Senate’s Standing Committee on Defence Production, Khawaja Sohail Mansoor, reported that defence exports from Pakistan have grown to more than $98 million U.S. in fiscal year (FY) 2016-2017, a 55% increase from exports a decade ago in FY 2006-2007. Specific inputs driving Pakistan’s defence exports for 2016-2017 were not disclosed. However, in the past two fiscal years, Pakistan Ordnance Factories (POF) and Pakistan Aeronautical Complex (PAC) had booked export orders in Asia, the Middle East and Africa. POF, which is Pakistan’s principal small arms and ammunitions vendor, announced that it had secured sales worth $93.7 million in FY 2015-2016. Saudi Arabia was POF’s largest buyer. Besides the possibility of work for the Saudi contract continuing into FY 2016-2017, POF also signed a letter-of-understanding (LoU) with Italian ammunition maker Fiocchi to pursue the supply of POF brass to Fiocchi. Similar supply LoUs were signed with the Czechoslovak Group (CSG). In partnership with the Aviation Industry Corporation of China (AVIC), POF inked a sale of 16 JF-17/FC-1 multi-role fighters to Myanmar in 2015. The first of these aircraft was seen flying in China earlier in June, indicating that PAC’s had undertaken its share of the manufacturing work for those aircraft – and exported those parts – in FY 2016-2017. Three JF-17s were also ordered by Nigeria in 2016. PAC inked orders for its Super Mushshak trainer from Nigeria, Qatar and Turkey in 2016 (for 8, 10 and 52 aircraft, respectively), but it does not appear that deliveries were made for new-built aircraft in 2016-2017. However, PAC did deliver on-hand Super Mushshak trainers to Nigeria in December (these will be replaced by new-built units when complete). Fruition in ongoing Super Mushshak, JF-17 and POF supply contracts should markedly increase Pakistan’s annual defence export figures. In March, Pakistan’s Minister of Defence Production (MoDP) Rana Tanveer Hussain told Bloomberg that Islamabad is aiming to propel defence exports to $1 billion over the next two years. Pakistan is viewing Turkey, Nigeria, Saudi Arabia, Azerbaijan, Egypt, Uzbekistan, Tajikistan and Sri Lanka as prospective markets to drive this growth. Critical to this objective would be major increases in the sale of big-ticket equipment, most notably the JF-17 Thunder as well as complete systems manufactured by Heavy Industries Taxila (HIT) and Karachi Shipyard & Engineering Works (KSEW). Pakistan has struggled exporting the HIT al Khalid main battle tank (MBT) and maintaining sales momentum for HIT’s series of armoured personnel carriers (APC). However, the forthcoming al Khalid 2 MBT, which is envisaged to use a 1,500-hp diesel engine and exhibit noticeable improvements to its armour and electronics, could draw foreign interest. Pakistan Aeronautical Complex, Kamra brought another feather in its cap, when it signed an agreement with Azerbaijan for sale of ten Super Mushshak aircraft to Azerbaijan Air Force. The contract was signed at Azerbaijan, where Air Marshal Arshad Malik, Chairman PAC Kamra represented Pakistan; whereas, Azerbaijan was represented by Lieutenant General Ramiz Tahirov, Air Force Commander Azerbaijan, a press release Thursday said. This contract would also include operational training and technical support and assistance to Azerbaijan Air Force. The landmark agreement will further strengthen the bilateral ties between the two brotherly countries. Indigenously produced Super Mushshak aircraft is equipped with most modern equipment and capabilities which makes it one of the best military trainer aircraft. 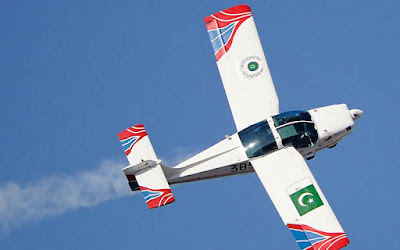 Approximately 300 Super Mushshak aircraft are being used by PAF and Pak Army for military training of pilots and other defence related activities. The Pakistan Air Force (PAF) has formally announced it will commence development of a 5th-generation fighter, medium altitude long-endurance (MALE) unmanned aerial vehicle (UAV) and munitions under the banner of “Project Azm” (i.e. resolve or determination). In his speech for inaugurating the Kamra Aviation City initiative, the PAF Chief of Air Staff (CAS) Air Chief Marshal (ACM) Sohail Aman outlined the program objectives of Pakistan Aeronautical Complex (PAC), the newly established Aviation Design Institute (AvDI) and Air University’s Aerospace and Aviation Campus. From the onset, PAC’s AvDI has been responsible for three marquee aviation programs under Project Azm: the 5th-generation fighter, a MALE UAV and munitions development. ACM Aman stated that the design work of the MALE UAV is in its “final stages”, suggesting that the UAV is a relatively near-term factor. In February 2017, Global Industrial & Defence Solutions (GIDS) said that it was considering developing a MALE UAV, but AvDI had been tasked to undertake the program. Moreover, Pakistan did not act upon the availability of MALE UAVs in China and Turkey, such as the Wing Loong-series and Anka, respectively. This is despite the prior industry ties formed with the Aviation Industry Corporation of China (AVIC) and Turkish Aerospace Industries (TAI) over the CH-3-based Burraq and Anka, respectively (in 2013 TAI contracted PAC to produce parts for the Anka). The other near-term – or rather, already active – program is advanced munitions development. 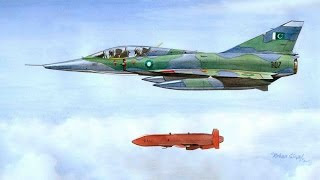 The complete systems the PAF ACM mentioned likely refer to the Range Extension Kit (REK) glide-bomb, which was cleared for use from the JF-17 in March and the Ra’ad II air-launched cruise missile (ALCM). AvDI’s long-term endeavour is clearly the 5th-generation fighter program (FGF). In the past several years, several factors emerged which analysts thought would shape the PAF’s next-generation fighter pursuits, most notably the rise of the AVIC FC-31 Gyrfalcon. While the Shenyang Aircraft Corporation (SAC) is clearly progressing in developing the fighter, it is unclear if the PAF will pursue it. If not the FC-31, then realistically only two other alternate courses remain: the TAI TFX and an original design. Pakistan has been billed as a prospective partner in the TFX, Turkey’s next-generation fighter effort. On repeated occasions since 2016, Turkish government and industry and Pakistan MoDP officials confirmed the link. However, the Pakistan MoDP’s statements regarding the matter had only verified Ankara’s invitation, but it was unclear if the approach was commercially oriented (akin to PAC’s work in supplying Anka parts) or in relation to possible PAF procurement. The Pakistan Air Force (PAF) has formally announced it will commence development of a 5th-generation fighter, medium altitude long-endurance (MALE) UAV and munitions under the banner of “Project Azm” (i.e. resolve or determination). In his speech for inaugurating the Kamra Aviation City initiative, the PAF Chief of Air Staff Air Chief Marshal Sohail Aman outlined the program objectives of the Pakistan Aeronautical Complex (PAC), the newly established Aviation Design Institute (AvDI) and Air University’s Aerospace and Aviation Campus. 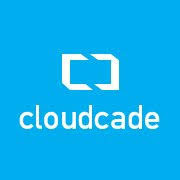 “Our engineering and operational staff have indigenized few core capabilities which are truly high-tech. The 5th-generation fighter aircraft, MALE UAVs, are in the final stages of design, development of advanced weapons and other key projects”. Aman added that the Aviation City initiative will provide valuable economic opportunities for local industry entities, and in turn, support the growth and value of Pakistan’s aviation industry. Aman’s recent statements follow his earlier commitments to localizing the PAF’s supply channel, at least in terms of its 5th-generation fighter, by assigning a significant amount of the design, development and production work of the 5th-generation domestic. According to quwa.org, PAC’s AvDI has been responsible for three marquee aviation programs under Project Azm: the 5th-generation fighter, a MALE UAV and munitions development. Aman stated that the design work of the MALE UAV is in its “final stages”, suggesting that the UAV is a relatively near-term factor. Pakistan did not act upon the availability of MALE UAVs in China and Turkey, such as the Wing Loong-series and Anka, respectively. This is despite the prior industry ties formed with the Aviation Industry Corporation of China (AVIC) and Turkish Aerospace Industries (TAI). However, Pakistan is opting for an original design instead of an off-the-shelf acquisition. Pakistan’s suppliers have supply opportunities at several key stages, the airframe, propulsion, electronic subsystems and potentially – weapons. But the PAF’s emphasis on localization implies that many of these systems will eventually be sourced domestically, though that could leave the room for co-production partnerships (which appears to interest Pakistan). Pakistan’s IT exports have hit an all-time high in the outgoing financial year of 2016-2017. The country is witnessing a growth boom in the IT industry like never before and the government is also taking steps to support the IT infrastructure. And the numbers prove that the positive activity in the IT industry is delivering good results. According to ProPakistani, figures provided by the State Bank of Pakistan(SBP) indicate that the IT industry’s exports – which includes telecom, and computer and information services – in the outgoing financial year were of $938.640 million. The exports made in the previous financial year of 2015-2016 were worth $788.640 million. This indicates a year-on-year growth of 19%. The Pakistan Software Exchange Board(PSEB), on the other hand, has reported figures that are three times greater than those reported by the SBP. According to the PSEB, the IT exports stand at a whopping $2.8 billion. There is a huge disparity in the numbers that have been reported by the SBP and the PSEB. However, it should be noted here that the SBP and the PSEB calculate the final figure of IT exports in a different manner. The PSEB reports in different sectors such as financial services, healthcare sector, e-commerce, e-health, but to estimate the final figure of total exports it takes into consideration all the exports done by local software houses to international clients. If Pakistan’s IT industry keeps thriving at this rate, it certainly rings good news for the country’s economy. Could Pakistan hit the target of $6 billion software exports by 2020 or the target of $10 billion IT exports by 2025? We’ll have to wait and see. But the present certainly does look good. Pakistan’s IT exports reached an all-time high for the outgoing financial year of 2016-17 with receipts of nearly $1 billion received through the banking channel. According to the statistics provided by the State Bank of Pakistan, exports of IT industry classified as telecommunication, computer and information services surged to the level of $938.640 million in the last financial year. The exports earning of the IT industry registered a double digit growth of 19 percent or $ 150 million from the financial year 2015-16 which stood at $788.640 million. Exports of IT or ICT services – in broad terms – are largely delivered to countries and regions such as USA, Middle East and South African countries. Pakistan Software Export Board (PSEB), on the other hand, reported 3 times higher exports as compared to SBP’s numbers ($2.81 billion) through the input of companies/software houses. PSEB’s estimation is based on the services various IT companies and software houses rendered to different countries but their reporting is done in different sectors such as financial services, healthcare sector and etc, as well as e-commerce, e-health and e-education. Besides, the reporting of the freelance work is usually reported through overseas remittances. It should be mentioned that Pakistan is considered as the fourth largest freelance market in the world. The estimation of PSEB suggested that exports of freelancer of IT sector stands at more than $200 million per year. Hence, the foreign exchange inflows in IT sector is not reported as its original potential. IT and Telecommunication is counted as a single industry in Pakistan either under one ministry, or by reporting the inflows of this sector. State Bank of Pakistan has taken a series of concrete steps to streamline exports income of the IT industry through the banking sector, which could reduce the under-reporting foreign exchange earning of IT and its enabled services. The implementation of the instructions of the central banks to commercial banks and software houses will lead to identify the nearest figure of IT exports values on monthly and annually basis, which will also help all stakeholders to realize the potential and status of IT sector in the country. IT industry has the biggest potential in Pakistan with a capacity to expand itself domestically and internationally for exports of services when it comes to support of the government through policies and tax incentives. The government realizes that it has an important role in providing a conducive environment for the growth of the IT industry through infrastructure and HR development. The government has set a vision to enhance the exports of this sector to $5 billion per annum by 2020, which is not an impossible target. Minister of State for Information Technology and Telecom Anusha Rehman on Monday lead the 36th meeting of the Boards of Directors of Pakistan Software Export Board (PSEB) to assess the work being done on various IT initiatives taken by PSEB including Prime Minister’s Internship Programme and Capability Maturity Model Integration (CMMI). PSEB Acting Managing Director Syed Iftikhar Hussain Shah updated the board with achievemts of PSB over the last four years. The board was briefed that PSEB has showcased their work at 11 international trade fairs alongside over 65 IT companies, which are making above two thousand leads. This exhibition enhanced the perception of Pakistan as an important destination in terms of outsourcing and investment. According to him, exhibiting at the trade fairs also helped improve the image of Pakistan as a viable destination for outsourcing and investment, because PSEB’s participation in the exhibitions have increased Pakistan’s exports in all the countries that hosted the exhibitions. According to him, because of the active PSEB technical and financial assistance throughout the past four years, over 30 selected IT professionals and 28 IT companies have been given certificates in Capability Maturity Model Integration (CMMi) platform. Apart from this, 134 companies have gotten certifications in ISO 9001, ISO27001 and ISO 20001 as PSEB empowered them to acquire exports from the developed markets. Anusha felt pride in the fact that Pakistan has a huge number of extremely talented youth, and the government is striving to provide them with the best resources and opportunities. Anusha said that PSEB in partnership with National ICT R&D Fund (IGNITE) has recruited over 1,700 IT graduates as interns this year for having hands on experience with IT companies, as well as IT departments at Telcos/CMOs, banks, and also educational institutes. Among these interns, more than 60 percent received job offers after the completion of their training tenure. According to her, the government is going to announce a national level digital skills training program to empower 1 million freelancers of the country who have an experience of over 5 years with the skills that are needed to increase their productivity. Later, the minister also lead one more meeting and gave her approval for “DigiSkills”— an initiative to mentor 1 million youth with a focus to use technology in the best way by bringing excellence in technology, introducing innovation and respecting work ethics, alongside the vision of building a workforce for a future of the 4th Industrial Revolution. Mrs. Anusha Rehman said that the performance of Pakistan’s IT sector could be gauged from the fact that IT industry exports have registered a 98% growth over the past four years resulting in substantial contribution to Pakistan’s economy through foreign exchange earnings and job creation. She said that due recognition must be extended to our freelancers who have catapulted Pakistan on the 4th spot on the largest freelancing website in the world, Upwork and that it is the goal of the present government to achieve at least $5 billion in export earnings by 2020 and $10 billion by 2025. Pakistan will soon start producing commercial aircraft for the domestic and international markets, said a senior official. Air Marshal Ahmer Shahzad of Pakistan Aeronautical Complex (PAC) told Khaleej Times in an interview that they are looking at producing commercial aircraft with 10 to 30-seat capacity both for executive and non-executive passengers. “As economic activity picks up with the China-Pakistan Economic Corridor, we require fast and efficient air transportation to fulfill domestic requirements. We’re also eyeing international requirements in the Middle East and Central Asia,” Shahzad said on the sidelines of the Dubai Airshow 2017. The Pakistan Aeronautical Complex is a Pakistani aerospace, defence, aviation contractor and military corporation producing aerial systems for both military and civilian usage. Pakistan has put up a pavilion at the Airshow, displaying its Super Mushshak and JF-17 Thunder as well as advanced avionics and electronic equipment. The Pakistan Air Force is participating with the JF-17 Thunder. One light fighter aircraft has been put on static display while another takes part in the daily airshow. In addition, Pakistan is also displaying its technological prowess in advanced avionics and electronic components and production potential at the Airshow. Shahzad said work on the commercial plane project is expected to start soon. The aircraft will be produced at the Pakistan Aeronautical Complex’s headquarters in Kamra. Shahzad revealed that Pakistan is going to resume production of more advanced unmanned aerial vehicles too. Replying to a query about expectations of orders for the JF-17 Thunder and Super Mushshak, the PAC chief said they’re looking for new markets in the Middle East and Far East. The Pakistan Aeronautical Complex has already signed deals with Turkey, Qatar, Nigeria and Azerbaijan for aircraft export orders. The Drug Regulatory Authority of Pakistan (Drap) has assured the pharma industry that in order to further facilitate exports, the authority will establish a separate desk where all concerns of exporters regarding issuance of necessary documentation will be addressed. Pharma exports are currently earning $230 million with potential to expand up to $2billion. A meeting was held on Thursday under the chairmanship of Federal Minister for Health Services Aamir Mehmood Kiani with pharmaceutical exporters. The purpose of this meeting was to discuss mechanisms to boost volume of pharmaceutical and alternative medicine exports. The federal minister in response to concerns of the pharma industry, being represented by the Pakistan Pharmaceutical Manufacturing Association and top 20 pharma exporters of Pakistan, emphasised on the need of harmonisation and facilitation of pharma export by engaging customs and the Trade and Development Authority of Pakistan (TDAP) for resolution of their grievances. He said the sector has huge potential and needs harvesting to benefit the country by earning money abroad through improved exports of pharmaceutical and alternative medicine. It was also apprised the industry could expand its volume of exports as the 6th largest sector contributing to the overall exports of Pakistan. Kiani advised stakeholders to submit a working paper on how export volume can be improved. Following which, CEO DRAP, Dr Sheikh Akhter Hussain apprised the federal minister that DRAP has already taken initiative to facilitate local manufacturers who are exporting to other countries. The Nigerian Army, under the leadership of Lieutenant General Tukur Buratai, has expressed its interest to partner with the Islamic Republic of Pakistan on security strategy. This was revealed by the military on Thursday, when Major General Wagar Ahmed Kingravi (rtd), the High Commissioner of the Islamic Republic of Pakistan to Nigeria, visited Buratai at the Army Headquaters in Abuja. The partnership is to foster security advancement on training, intelligence, radio communication, logistics support, among others. News of the partnership was announced via a tweet on the official handle of the Nigerian Army that read: "The Nigerian Army has indicated its interest to collaborate with the Islamic Republic of Pakistan on training, intelligence, radio communication, logistics support among others. "The Chief of Army Staff (COAS), Lt Gen Tukur Yusufu Buratai, indicated the interest today when he received the visiting High Commissioner of the Islamic Republic of Pakistan to Nigeria, His Excellency Maj Gen (Retired) Wagar Ahmed Kingravi, at the Army Headquarters, Abuja." The Islamic Republic of Pakistan has promised to strengthen its strategic partnership with the Nigerian Air Force (NAF) in equipment and spares acquisition to further enhance professionalism. A statement by the NAF Spokesman, Air Commodore Ibikunle Daramola, said the Pakistan High Commissioner to Nigeria, retired Maj.-Gen. Waqar Kingravi, made the pledge when he visited the Chief of Air Staff (CAS), Air Marshal Sadique Abubakar on Friday in Abuja. NIGERIA NEWS gathered that Kingravi said Pakistan would also partner with the NAF on research and development, training and other relevant areas to further enhance professionalism. He said he was at NAF Headquaters to assure the CAS of the commitment of the Pakistan Government to strengthening the existing cordial relationship between Nigeria and Pakistan. The commissioner said the relations between the two counties had spanned several decades and yielded several mutually beneficial military collaborations. Kingravi noted that having once headed the Army Aviation Corp of the Pakistan Army, he was familiar with peculiar requirements of air operations. He added that he would pay particular attention to ensure that the ties between the air forces of the two countries were taken to even greater heights. Kingravi also commiserated with the NAF on the tragic air mishap that occurred on Sept. 28, which led to the death of Sqn.Ldr. Bello Baba-Ari. In a remark, Abubakar said that the relationship between the Pakistan Air Force (PAF) and NAF was extremely cordial and had continued to grow over the past few years. He noted that the story of the successes recorded in the counter insurgency operations in the North–East, could not be written without mentioning the support rendered by the Pakistan government. Abubakar recounted several occasions when the PAF had gone beyond the usual to assist the NAF. He assured Kingravi that the NAF would continue to provide the necessary support and cooperation to enable him succeed. The CAS called for closer coordination in order to fast-track the process for the acquisition of the JF-17 multirole fighter aircraft from Pakistan. He also appealed to the High Commissioner to liaise with PAF to develop a special programme for the conduct of basic fighter training for NAF pilots.